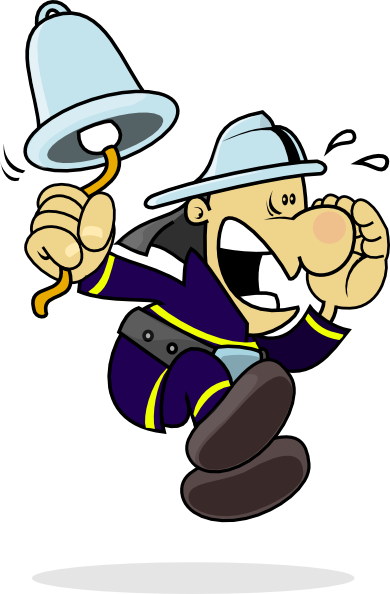 What do you do in the event of a fire alarm at a restaurant or hotel? It seems like a simple answer. Well okay, that’s what you’re supposed to do, but that’s not what happens in real life. I was in a restaurant when the fire alarm went off and nobody left their table to exit the building. Alright, neither did I. I observed the behavior of the people and no one even seemed to be bothered, not even annoyed. I asked the waiter if the alarm was false and he mentioned that the alarm had been going off regularly and was probably false. I must admit I was not surprised by the study conducted by IHASCO to observe human behavior during a fire alarm. They brought in unsuspecting subjects and set them on a task to fill out paper work during which the fire alarm went off. After five minutes of alarm a lady got up and went out into the hallway to see what was going on. They brought in another group and they did not respond until a fire warden came in and told them to leave the building. So their study concluded that the fire alarm alone will not get people to respond appropriately, the human interaction is best. Mass notification and voice evacuation are a solution to the problem. When the system is in alarm human interaction through speakers announcing what the situation is helps people understand the why. Why do people need to know the why? They just do. They perform better when they know the why. One lady commented that she was used to alarms because the building she worked in had fire alarm tests all the time. With a voice system, the testing of the alarm system can be announced and people can be conditioned to reactive to the alarm when it was not announced the system was being tested. This kind of reminds me of Pavlov and his studies on conditioned behavior or would that be behavior modification! lol. Who is the best at evacuating a building? Nursing homes, schools, hospitals and places that really practice fire drills. Why are they good at them? Probably because of the human interaction. They have been told what to do in the event of an alarm, and they practice it often. As a matter of fact, many of them time the response to see how fast they can evacuate the building. Then administrators, or fire personnel check the building to ensure that all occupants were in fact evacuated. I believe, the majority of people want to do the right thing, or the safe thing. They just don’t know what to do. I am sure that if one table at that restaurant or the waiters had got up to leave and made sure the people around them knew they were evacuating due to the fire alarm, more people would have followed. People are social animals and tend to follow others when lead in the right direction, and sometimes in the wrong direction. If you are interested in viewing the study I have provided the link to the video. Enjoy! What people do during a fire alarm click the icon to see the video.